I grew up in a family where several members were fascinated with astronomy and convinced that someday we would find life outside of planet earth. We watched Close Encounters of the Third Kind and 2001: A Space Odyssey like they weren’t really science fiction. There was always something about the universe that seemed to argue against God’s existence to me. When I became a Christian in my late teens, still living in a non-Christian home, my discomfort with the universe grew. I think it was the vastness of the universe that bothered me. If God had really made us unique and special, why were we so seemingly insignificant in the limitless depths of the universe? Carl Sagan’s argument that we were an insignificant ‘pale blue dot’ rang true at some level. I wondered what we didn’t know about what was ‘out there’. Then there was that nagging question of what would happen to God if life were found elsewhere in the universe. Would it disprove His existence? I don’t think I am alone in these concerns. What I learned years later about the universe has turned my discomfort with it upside down into a fascination with it. Indeed it has been over my own lifetime that many of the startling things we know about the universe and our planet’s uniqueness in it have come to light. This post is another of my ‘apologetics for parents’ primers designed to give you some background to the activities in my series Finding the Fingerprints of God. Hopefully you’ll find them simple enough to understand, and possibly also a launching pad for further reading on these subjects. For a long time, scientists functioned under the Copernican Principle which basically concluded that there was nothing special about planet Earth, it did not hold a central place in the universe, nor was it in an especially favoured position. The implication was that there were an estimated 10 trillion locations among the 10 trillion billion stars in the universe that could most likely support life. In the last 60 years, this understanding has been challenged. In our quest to find extraterrestrial life, we’ve discovered that there are a large number of ‘ingredients’ that are needed to support it. God has built design into our universe that we hadn’t appreciated before. Life cannot begin and be supported as effortlessly as scientists used to think. 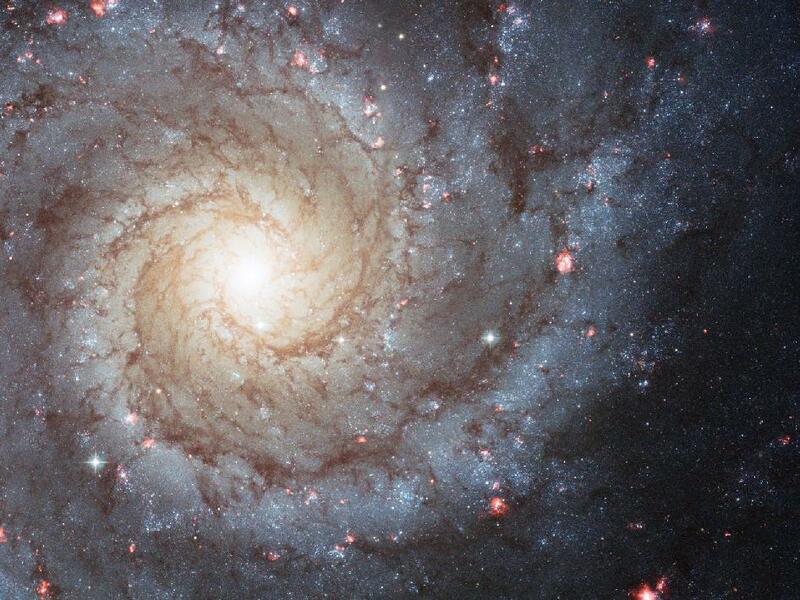 The right galactic type and location – there are many different types of galaxies, only one of which (the spiral galaxy like ours) can safely protect a planet with life. You also must be in the right location within that galaxy (mid-way between the spiral arms, and midway between the inner and outer regions of the spiral galaxy) to avoid hazardous conditions and collisions with other planets or stars. The right kind of solar system – you need a solar system that moves in a circular orbit in order to maintain temperature and climate on your inhabited planet, keep the inhabited plant in a location within the solar system that optimizes oxygen, minimizes carbon dioxide and keeps water liquid. Circular orbits help keep the inhabited planet in the safe zone of the galaxy by regulating the gravitational pull of other bodies. Shielding planets – to deflect collisions with comets and asteroids away from your inhabited planet. Exactly the right sun – with a mass, luminosity, composition, distance, orbit and location to support life. A moon – to stabilize the tilt of planet’s axis and keep large-scale ocean circulation operating. Specific features of the inhabited planet – The planet needs to be a certain mass to retain an atmosphere, prevent core heat from being lost too quickly and optimize gravity. It requires an oxygen-rich atmosphere, plate-tectonics (the earth’s crust moves in large plates that create mountains, develop continents and drive the planet’s carbon cycle) and albedo sources (places to re-reflect the sun’s radiation). It’s actually mind-boggling how many very precise factors have to be ‘just so’ in order for a planet to be able to support life. There is a lot more to God’s design of the universe than we ever appreciated before. We got lucky. This is the conclusion of Brownlee and Ward in their book Rare Earth. They acknowledge that it is incredibly improbable to bring together the right conditions for life, and that life is likely much, much more rare than we once thought; perhaps even unique to Earth. The universe was designed for life. Using exactly the same data as Brownlee and Ward, this is the conclusion of Gonzalez and Richards in their book The Privileged Planet (you can watch a movie about the book here). I conclude that the probability that all these factors landed ‘just so’ to enable us to ‘win the cosmic lottery’ and end up with a planet like Earth that supports life through ‘sheer luck’ is outrageous. It belongs in the realm of science fiction. Design better fits the evidence. However, many disagree, arguing that there is a ‘universe-creating machine’ somewhere out there that spits out universes of different compositions, and we just happened to get the right combination for life (this is the multiverse theory). Think about it. Consider the material above and tell me what you think. ← Fingerprint #2: The Universe is Perfect!